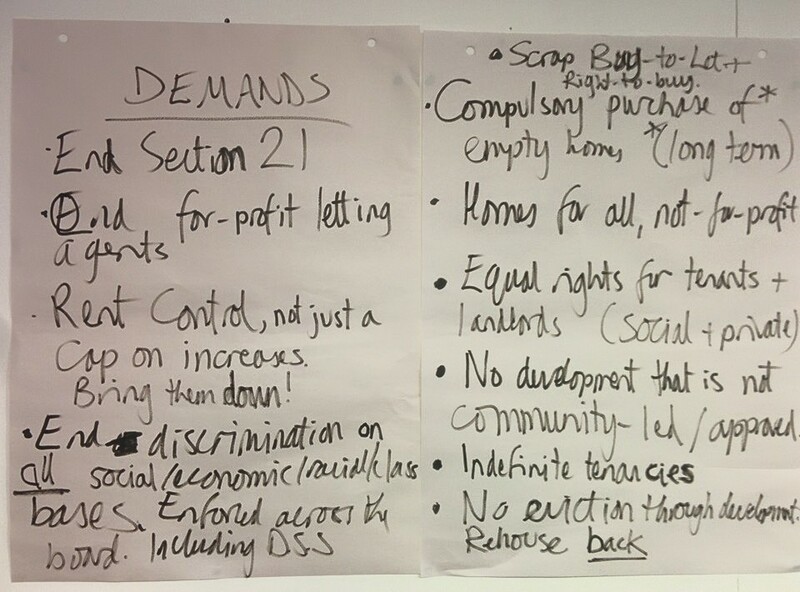 Digs and Hackney Unites hosted a discussion on what changes private renters want to see in housing, and there were plenty to fill more than a few walls of paper! The event was kicked off by two experienced and fiercely committed activists: Heather Kennedy, founder of Digs, and Lisa MacKenzie, rebel ethnographer and LSE researcher. Both activists shared a frustration that housing policy seemed to reflect the needs of investors and markets, rather than acknowledging that houses are supposed to be homes first and foremost. For MacKenzie the cruelty of London’s housing situation seemed more inhuman than the austerity imposed on Midlands and Northern council communities. While those outside London suffer from austerity, they maintain their strong sense of community and belonging. In London, with its rapid churn of renters and its constant evictions of social tenants, community seems to no longer factor in housing policy. And while MacKenzie has attempted to provide answers to policy makers, they never seem to like the answers of capped rents and zero evictions (or an end to capitalism! ), and appear to only be searching for a way to make evictions paltable to the families who they are imposed upon. Now she advocates that activists no longer speak to policy makers, who long ago stopped listening, but to each other and residents so that we can build our power and find our own solutions to protect our homes and communities. For Kennedy, who started Digs in response to the injustices in private renting she and her friends experienced, similar realisations came through attempting to take the orthodox routes. Meeting after meeting with policy makers, MPs and housing officials proved time and time again that the market was being placed above the needs of the people it was supposed to provide for. Any proposed rent stablisations or increases in renters’ rights, which are the norm in cities from New York to Berlin, were seen as potentially “spooking the horses” – the horses being the landlords, whose returns were championed above all else. Kennedy concluded that the market was simply never going to deliver for renters and change needed to come from renters making their demands clear. You can read more about Kennedy’s thoughts on private renting and the development of Digs Hackney Renters in her Guardian interview. 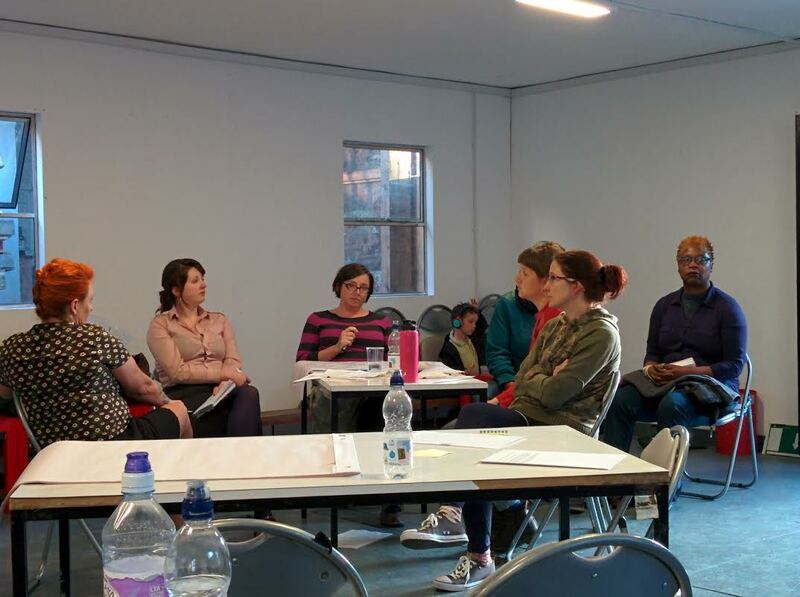 The group then focused on the problems they had found in private renting and the housing market, and frustrations, numerous and deep felt, were aired. Letting agents fees, incentives to evict, lack of transparency. Fear of landlords and overall lack of rights for rents that prevented reporting repairs. Supply and demand problems with unequal distribution. The financialisation of the housing market, in which national and local government were complicit. Rising rents, deposit debt, benefit sanctions, cuts to legal aid, discrimination. The list went on and on. A feeling of anger and hopelessness descended with all of the problems out in the open. There was a seeming inevitability of families being forced out of their neighbourhoods, and London altogether, of communities slowly being replaced by more mobile and fiscally equipped incomers, of there being no recourse to landlords’ whims to double or triple rents, to ignore all health hazards, or to evict at will for the slightest of disagreements. Compulsory purchases of homes that have long stood empty , which will increase sales, renting stock or council housing. These demands will be brought to our newly elected MPs, and will constantly feed into our representation with Hackney Council. But above all they are a starting point, malleable and changeable, to enter the second phase of private renters activism for Digs and our allies. They will bring together renters and communities around a common cause to fight for the right to a safe and affordable home that has been so easily ignored by policy makers. They will start a discussion that will engage renters in standing up for all their shared and individual needs. We have consulted and responded. We have proposed and answered. Now we make our demands. Now our representatives will accept and voice our demands. Now the needs of renters, families and communities will be put before those of the market and the investors. 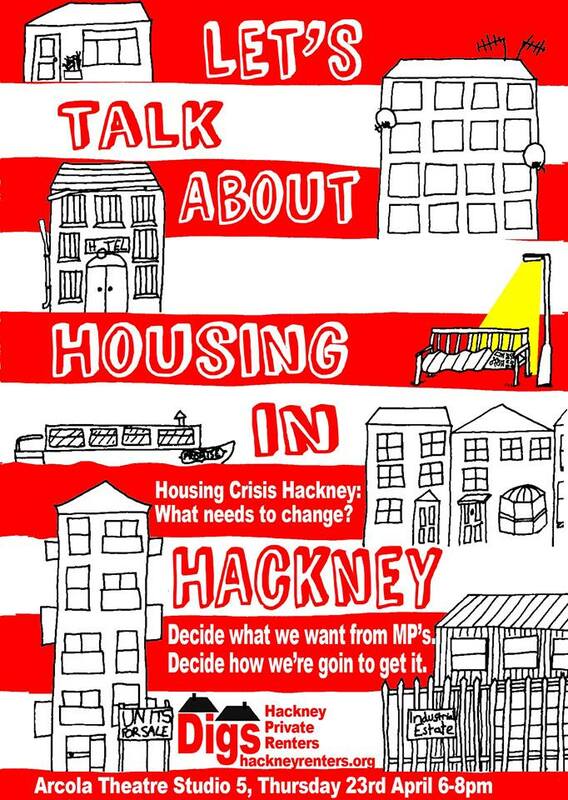 Please join us as we support and empower one another to make a better deal for private renters in Hackney a reality for all. Tags: Activism, General election, housing crisis. Bookmark the permalink.